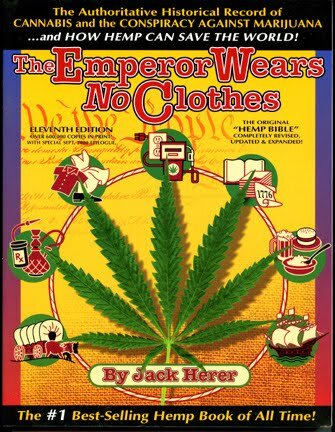 Herer exposed the criminal mercantilist roots of the prohibition of MJ, revealing the commercial potential of the Cannabis Hemp plant, with his landmark book "The Emperor Wears No Clothes". Jack Herer (June 18, 1939 – April 15, 2010) was an American cannabis activist and the author of The Emperor Wears No Clothes, a book which has been used in efforts to decriminalize cannabis. A former Goldwater Republican, Herer was a pro-cannabis (aka, marijuana) and hemp activist. He wrote two books, the aforementioned The Emperor Wears No Clothes and Grass. There has also been a documentary made about his life called, The Emperor of Hemp. He believed that the cannabis sativa plant should be decriminalized because it has been shown to be a renewable source of fuel, food, and medicine, and can be grown in virtually any part of the world, and that the U.S. government deliberately hides the proof of this. He devoted his life to the support of cannabis, hemp and marijuana. A specific strain of cannabis has been named after Jack Herer in honor of his work. This strain has won several awards, including the 7th High Times Cannabis Cup. 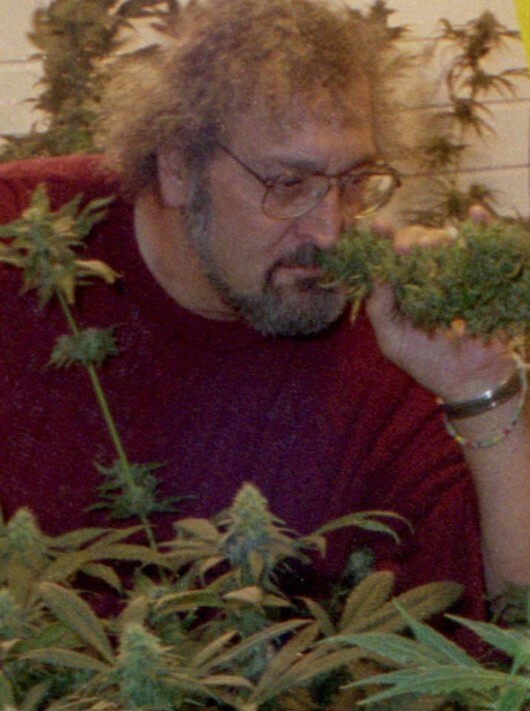 Jack Herer was also introduced to the Counterculture Hall of Fame at the 16th Cannabis Cup in recognition of his first book. In July 2000, Herer suffered a minor heart attack and a major stroke, resulting in difficulties speaking and moving the right side of his body. Herer mostly recovered, and claimed in May 2004 that treatment with the amanita muscaria, a psychoactive mushroom was the "secret". On September 12, 2009 Herer suffered another heart attack while backstage at the Hempstalk Festival in Portland, Oregon. He spent nearly a month in critical condition in a Portland hospital, including several days in a medically induced coma. He was discharged to another facility on October 13, 2009. He is "waking up and gazing appropriately when someone is talking... but he is not really communicating in any way." He died aged 70 on April 15, 2010 in Eugene, Oregon, from complications related to the September 2009 heart attack. The following is a video of Jack at that September 2009 Hempstalk shortly before his heart attack. Here's a video trailer for "The Emperor Wears No Clothes"
Because medieval priest bureaucrats thought they were sometimes laughed at, ridiculed and scorned by those under their influence - often by the most learned monks, clerics and leading citizens - ingesting cannabis was proclaimed heretical and Satanic. The sadistic Ottoman Empire conquered Egypt and, in the 16th century A.D., tried to outlaw cannabis - because Egyptian hemp growers along the Nile were leading tax revolts. The Turks complained that cannabis use caused Egyptians to laugh and be disrespectful to their Sultan and his representatives. In 1868, Egypt became the first modern(?) country to outlaw cannabis ingestion, followed in 1910 by white South Africa to punish and stop the blacks practicing their ancient Dagga cults and religions. Close acquaintances of John F. Kennedy, such as entertainers Morey Amsterdam and Eddie Gordon* say the president used cannabis regularly to control his back pain (before and during his term) and actually planned on legalizing “marijuana” during his second term - a plan cut short by his assassination in 1963. So shall Coca-Cola follow suit- either over trademark infringement, or bringing back true the 'original formula' with whole Coca and sugar? A coca-based soft drink went on sale in Bolivia this week. Coca Colla, made from the coca leaf and named after Bolivia's indigenous Colla people [Quechua, Aymara and other Incas descendants], is the latest manifestation of President Evo Morales' quest to expand legal markets for coca products. 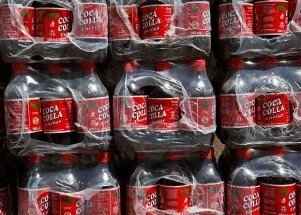 The first batch of Coca Colla, about 12,000 half-litre bottles going for $1.50 each, went on sale in La Paz, Santa Cruz, and Cochabamba. Like Coca-Cola, it is black, sweet, and comes in a bottle with a red label. Unlike Coca-Cola, which originally used full-fledged coca leaf extract but began de-cocainizing it early in the company's history, Coca Colla is the real thing. While Morales' government has vowed zero tolerance for cocaine, it has encouraged Bolivian companies to use coca in products including tea, syrups, toothpaste, liqueurs, candies, and cakes. The Bolivian government backed Coca Colla from the beginning. If Coca Colla and other coca products take off, the government could expand the amount of land authorized for legal coca production from the current 30,000 acres to as much as 50,000 acres. "We are seeing how we can give it impetus, because the industrialization of coca interests us," the deputy minister of rural development, the BBC quoted the deputy minister of rural development, Victor Hugo Vázquez, as saying. Five years ago, Paez indigenous people in Colombia launched a coca-based soft drink, Coca Sek. But that drink was banned in 2007 following pressure from the International Narcotics Control Board (INCB), which enforces the international drug treaties that consider coca a drug. No word yet from the INCB on Coca Colla.